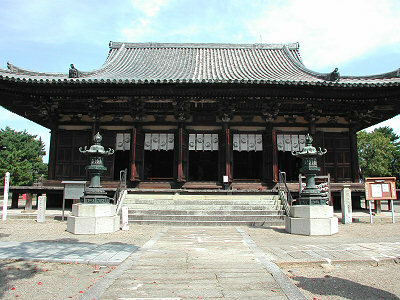 It is specified as the national treasure building by construction of the Muromachi period. They are irimoya and tile roofing. 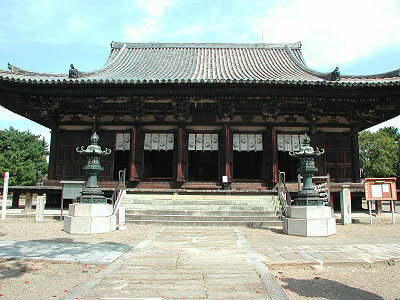 Although Yakushi Buddhist triads (each important cultural property) are placed in the inner hall in a chancel, a door will be opened at once in 60. Since the door was opened in 1997, it cannot worship for the time being.